Investors love having as many options as possible available to them to make a profit. Stock trading software and platforms are a dime a dozen, and option trading has become equally ubiquitous in the everyday investor’s world. However, commodities always seemed just out of reach for all but the wealthy or professional investor. Futures exchanges carry commodities, which can be traded. 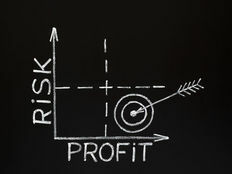 Futures are typically used by companies to hedge their product against adverse price movements. For example, a gold mining company may use futures to lock in a specific price for the gold it mined. Let’s say the miner wanted to lock in the price of gold at $1,100 per ounce. Let’s also say that the mined gold won’t be delivered for six months. The miner can enter into a futures contract to deliver gold at $1,100 per ounce in six months to the buyer. If gold happens to fall to $1,050 by the time the contract comes due, the miner won’t have to worry because the price of $1,100 is already locked in. On the other hand, if the price of gold rose to $1,150 per ounce in six months, the mining company will lose out on the profit because it already agreed to the set price of $1,100 per ounce. This is where speculation comes into play: commodity traders watch and speculate where the price of a commodity will be in in three, six, or twelve months and attempt to profit off of it. The basis of the trade is simple enough, but trying to play the futures market comes with a high barrier against entry for individual investors. Very often, trading platforms require a minimum deposit of $50,000 or more. Furthermore, mark to market accounting is used, so there’s no such thing as letting an investment ride. Let’s say the leverage on a wheat contract was 25 to 1. A $50,000 investment would then control $1.25 million worth of wheat. If wheat dropped just 1% in a day, you would stand to lose $12,500 – and that would close out at the end of the business day. Fortunes are made and lost daily in the futures market. Investors that want to play commodities don’t have to rely solely on the futures exchange. 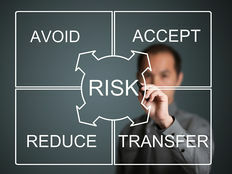 “Mutual funds”:http://mutualfunds.com/ and “ETFs”:http://etfdb.com/ offer the everyday investor a way to take part in this exchange through arranged portfolios designed to follow a specific commodity or group of commodities without the risk of playing the futures market. 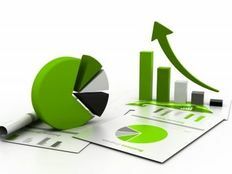 These types of investments are particularly attractive because they come with a manager who automatically allocates how much is placed into each commodity and when to purchase the futures contracts. It eliminates guesswork and lets you take advantage of professionals who know how the futures exchanges works. Another option is to invest directly in commodity-based equities like energy or mining companies. These types of stocks are directly tied to their underlying commodity and profit off of its subsequent rise in value. For example, if the price of gold goes up, gold mining companies realize higher margins and can produce bigger earnings results. The commodities space is heavily tied to macroeconomic forces; investors need to be wary of changing trends in order to avoid pitfalls. Commodities tend to to have a low correlation with other asset classes like stocks and bonds, so a bull market may mean a bearish one for commodities. Even so, investors looking to gain exposure to the commodity space should look at mutual funds, ETFs, and stocks as an alternative to purchasing risky futures contracts.